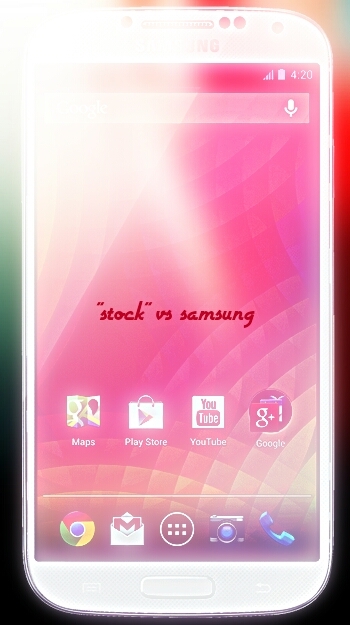 Ultimate Custom Clock Widget (UCCW) is one of the most powerful and versatile Android widgets. It’s free with ads in Google Play, although you can make a $5 in-app purchase to remove them. 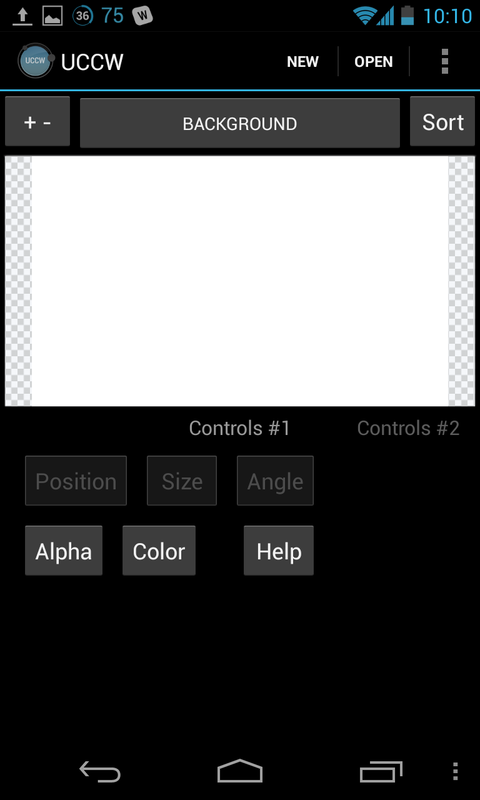 a what-you-see-is-what-you-get editor for designing your own UCCW widget. 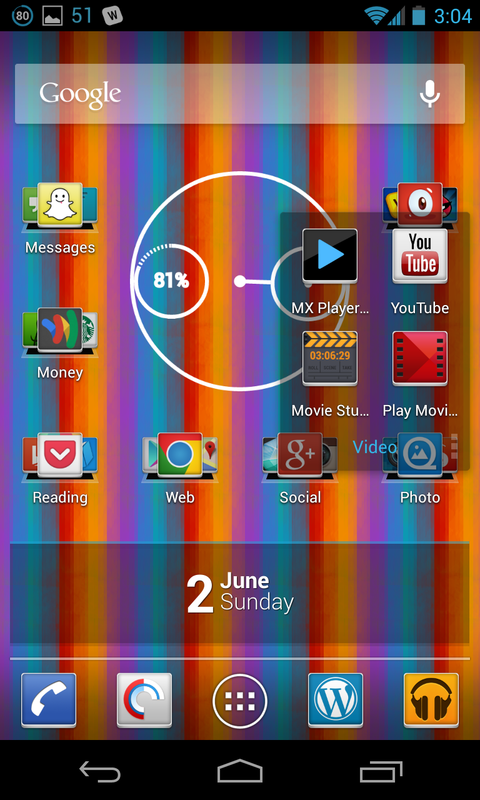 integration with a wide range of UCCW skins and themes from Google Play. 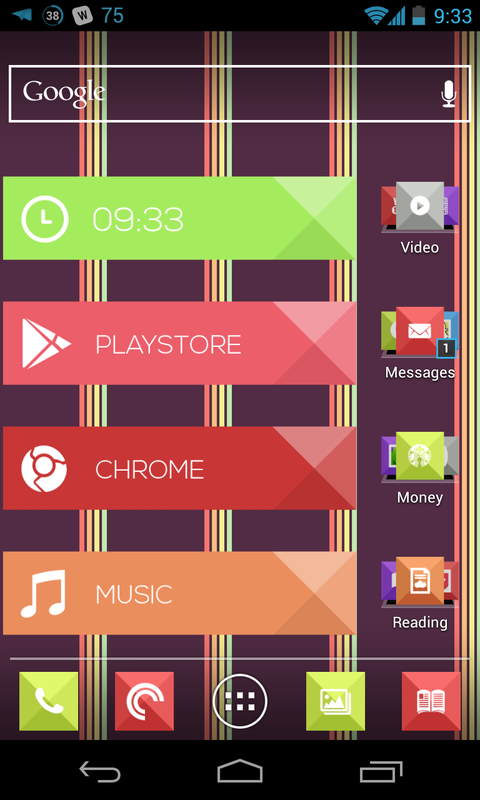 PlayBar skin for UCCW. Running on Jelly Bean 4.2.2 w/Nova Launcher Prime and PlayCon icon theme. 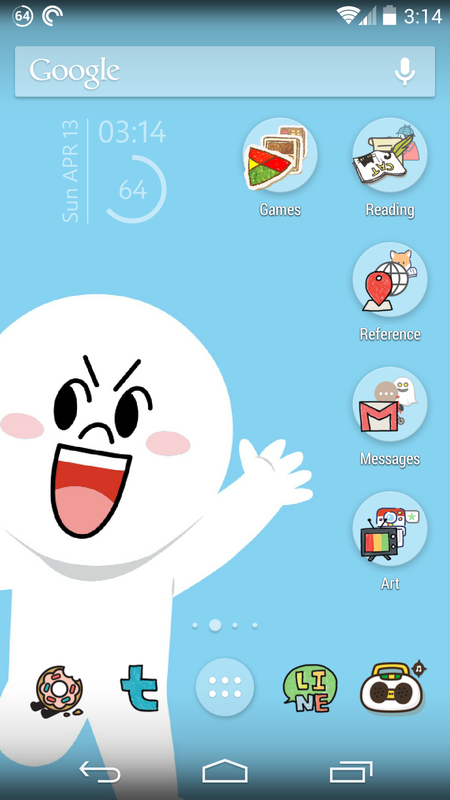 UCCW w/ShadowClock skin. Running on Jellybean 4.2.2 w/Nova Launcher Prime and Lustre icon theme. 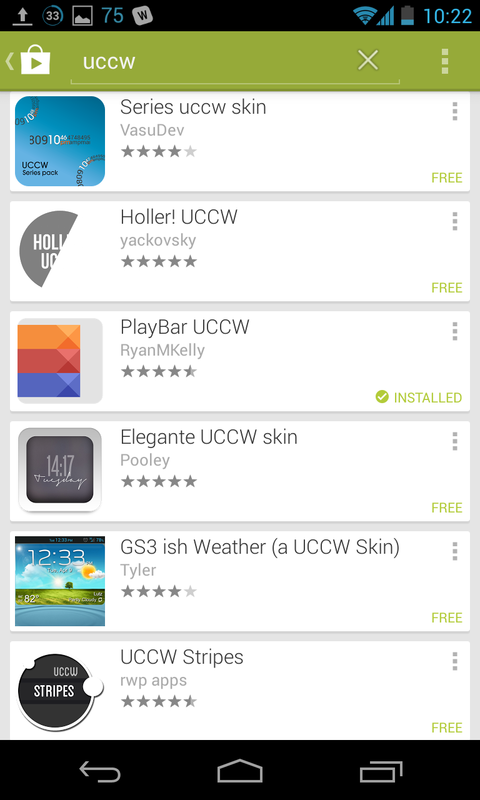 UCCW is free to download here. Consider a $5 donation to remove the ads. The search should return a variety of UCCW-compatible skins and themes. 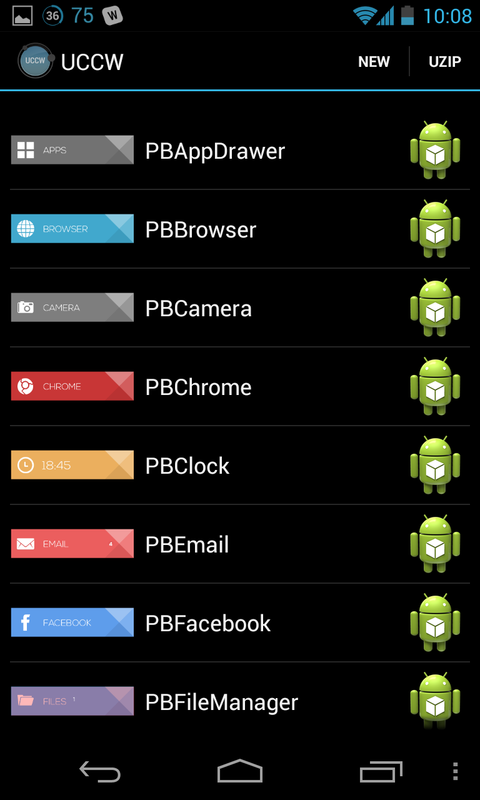 They’ll appear in Google Play as apps, but they’re essentially just plugins for UCCW. 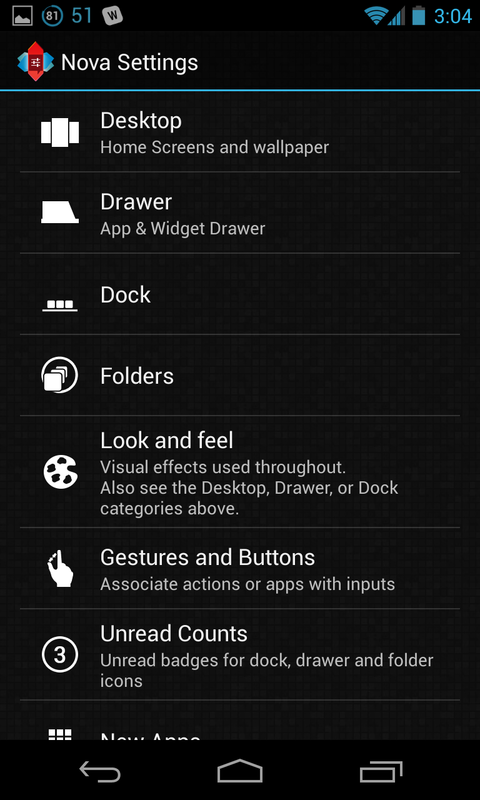 For example, the PlayBar theme in the first screenshot above requires UCCW. A sampling of downloadable UCCW skins. Choosing from among PlayBar skins for UCCW. Depending on what UCCW skin or theme you use, you may have the option to edit the widget’s hotspots. 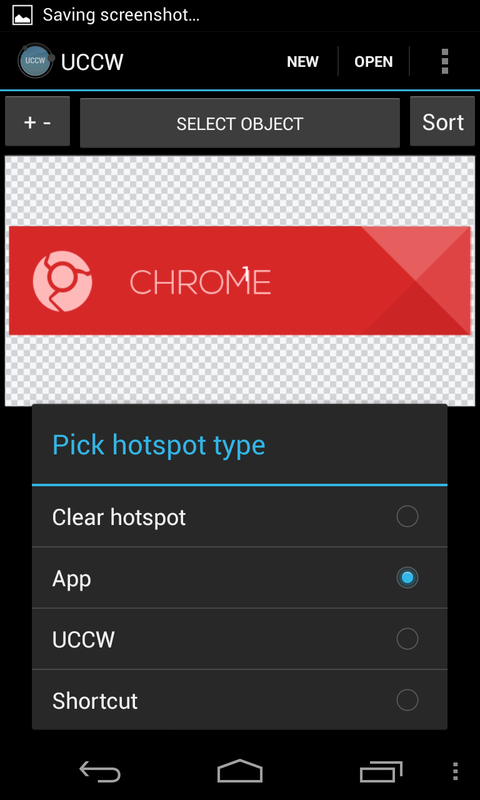 A hotspot is simply a part of the widget that can be configured to open an Android app when tapped. For example, the widgets from the very first screenshot in this post all redirect to their titular apps (“Chrome” opens Chrome, and so on). You can edit the hotspot and link it to any app that you want. 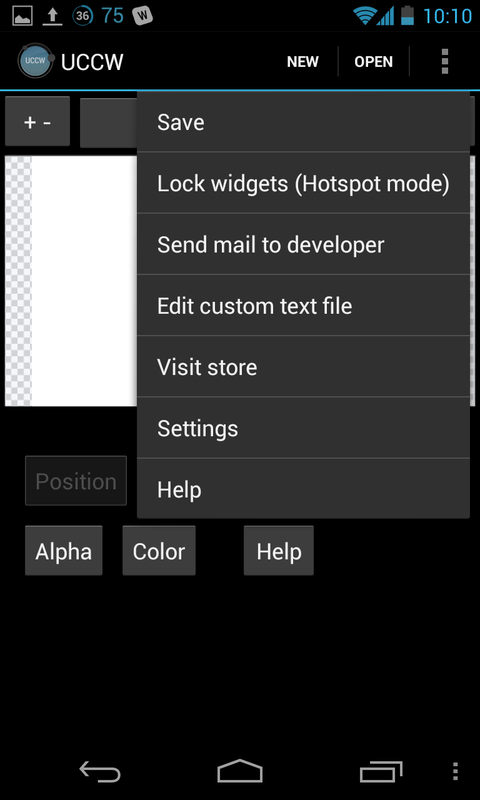 Afterward, you’ll need to go to the settings menu inside the UCCW app and enable Hotspot Mode so that tapping the widget does what you want it to do instead of sending you back to the UCCW editor. Editing the Chrome widget in the PlayBar skin for UCCW. Note that both color and hotspot are editable. 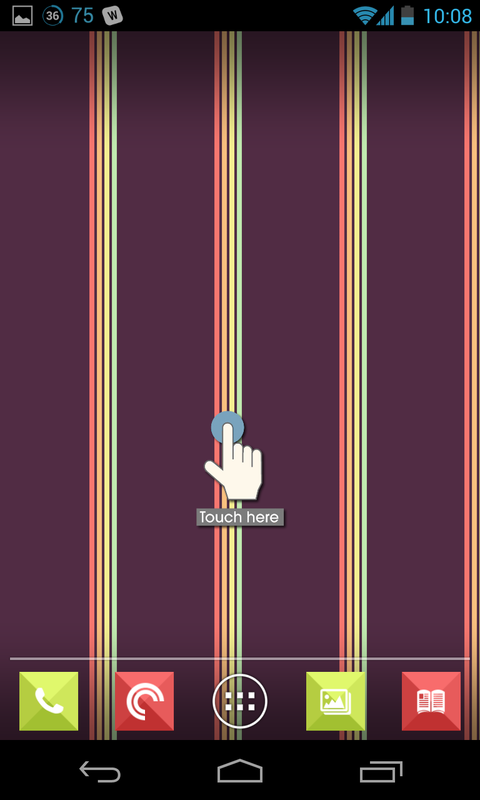 Adjusting the hotspot for the Chrome widget. Use Hotspot Mode to lock the color/hotspot changes you’ve made to your UCCW widget. Simply tap the screen as per the instructions to add the finished widget. Touch to finish placing the newly created UCCW widget. 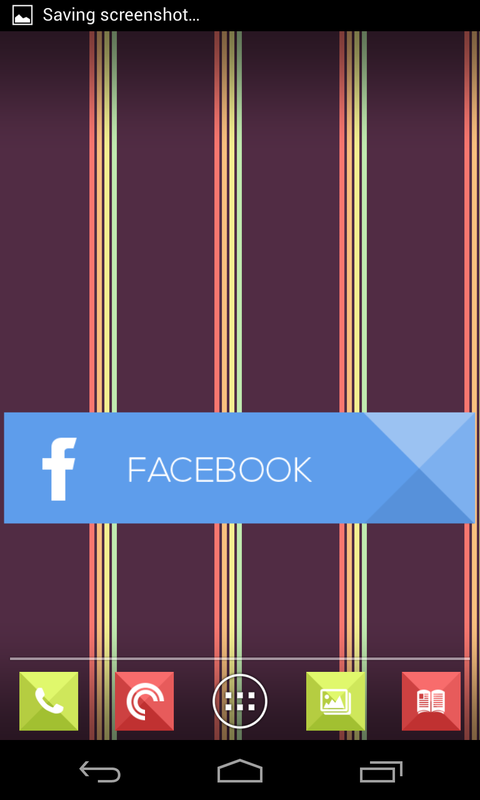 Placing a finished Facebook UCCW widget on a home screen. The recent release of Google Keyboard and Google+ Hangouts to the Play Store demonstrates a key trend in Android’s evolution. Specifically, apps and services that were once deeply integrated into the OS – like the stock keyboard and the former Google Talk client – are now apps that nearly anyone running ICS and later can download onto their devices. Google is chopping up Android and distributing it to anyone who can access the Play Store. You don’t need a cutting-edge, “clean” Android device to get a “stock” user experience now. Almost all of the beautiful Holo-UI apps that make up the “stock Android” or Nexus experience can now be loaded painlessly onto the majority of Google-centric Android devices. Along with the trend toward “Nexus Experience” versions of previously OEM-skinned devices like the HTC One and the Samsung Galaxy S4, I think we may have seen (in the white Nexus 4) the last of standalone Nexus hardware. The piecemealing of Android is certainly a driving force behind this trend. Calculator: serviceable, but lacks a lockscreen widget. Camera: the stock camera APK. Clock: most notable for its analog widget, which is still inferior to some 3rd-party alternatives. Email: an email client that looks like a sadder version of Gmail. Gallery: the stock photo picker, with integration with G+/Picasa web albums, as well as its own peculiar set of filters. Messaging: the barebones SMS client. 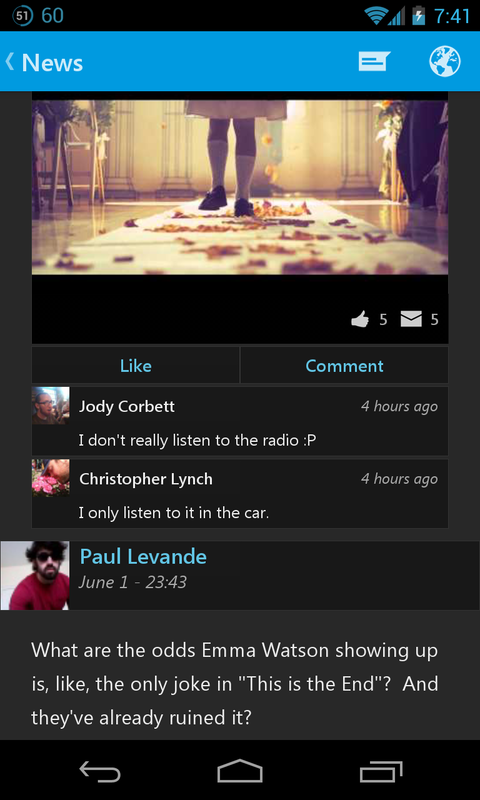 Movie Studio: an unstable but richly-featured video editor, which is somehow one of my favorite Android apps. News & Weather: a barebones news and weather client that redirects news stories to Chrome. There are a few other interesting items that could be tossed-in, like the stock iWinn IME (an emoji keyboard) or even the (Android) Launcher itself, which I could almost half-see being relaunched as, ugh, Google+ Home. Is this a net positive for users? It’s hard to know. Stock Android is pretty, but commercially unimportant. While it has some of the most beautiful UI available on any platform, stock is increasingly an aggressive vehicle for Google’s own services, to the detriment of many 3rd-party developers (and would-be competitors). Google Keyboard? It takes direct aim at both Swype and SwiftKey, the latter having been one of the top-grossing Android apps of all time. Google+ Hangouts? A shot at WhatsApp (one of the most successful Android apps), Tango, Skype, and many others. I don’t see competition with these 3rd-party devs as something evil, but in the context of Google’s overarching ambition, it is worrisome. They’re trying to run the table, and that mission comes thru even in seemingly innocuous releases like Google Keyboard. “Mobile-first” and “mobile-only” are almost clichés in terms of current app design. But overuse of “mobile” language aside, iOS and Android users have definitely benefitted from this new focus from developers on producing software that exploits and respects the unique capabilities of smaller devices. Maybe even too much so: I recently combed thru my app drawer and felt overwhelmed by the nearly 100 apps – most of them both beautifully designed and easy to use – in it. My first instinct was to simply cut myself off from many of the services provided by these apps, so as to simplify my experience and reduce app count. I initially thought about completely ditching RSS reading and some social networking, for example. Ultimately, I opted to do something different and instead I redistributed my workflow across my mobile device (a Nexus 4), my Mac, and my wifi-enabled Wii U. Although many of the apps and services I was using had versions available for both Android and OS X (and Web), I decided to restrict many of them to only one of my devices and ignore its other versions. So for example, I kept the mobile Google+ Hangouts app, but eschewed its desktop Web/Gmail version, and likewise kept my desktop RSS reader (Reeder) while ditching my previous mobile RSS clients. The most difficult, yet most rewarding, part of this process was determining which apps and services I could remove from my phone and perform only on my Mac or Wii U. Amid the swirl of “mobile-only”/”mobile-first lingo,” I reflexively felt that I was selling myself short by offloading many of the excellent apps and services I used onto my relatively old-fashioned Mac and my dainty Wii U, but the experience has been liberating. I have improved my phone’s battery life, reduced clutter in its launcher, and restored some piece of mind: there are fewer things to blankly stare at and anxiously check on my phone while on the train, at the very least. More importantly, I know have a firmer sense of what I want each device, with its accompanying apps and services, to do. The productivity bump and happiness that I have experienced has also made me realize, finally, why Windows 8 has flopped. Trying to treat all devices the same and have them run the same apps is a recipe for poor user experience and too many duplicate services. It becomes more difficult to know what any given device excels at, or what a user should focus on when using it. If focus is truly saying no to a thousand things, then it’s important to say “no” to certain apps or services on certain platforms. Steve Jobs famously said “no” to Flash on iOS, but one doesn’t even have to be that wonky or technical when creating workflow boundaries and segmentation in his/her own life: I’ve said “no” to Web browsing on my Wii U and to Netflix on my phone, for example. With this move toward device segmentation and focus in mind, I’ll finally delve into the tasks that I know do only on desktop or in the living room, so as to relieve some of the strain and overload from my mobile device. I perform these tasks using only my Mac or my Wii U, and I do not use their corresponding apps or services on my Nexus 4. RSS can be tricky: you probably shouldn’t subscribe to any frequently updated sites, since they will overwhelm your feed and leave you with a “1000+ unread” notification that makes combing thru the list a chore. Rather, sites that push out an update once or twice per day (or every other day) are ideal material for RSS. Rewarding RSS reading requires you to have specialized taste borne out of general desktop Web browsing (see below), as well as a tinkerer’s mindset for adding and subtracting feeds. It’s a workflow meant for a desktop. 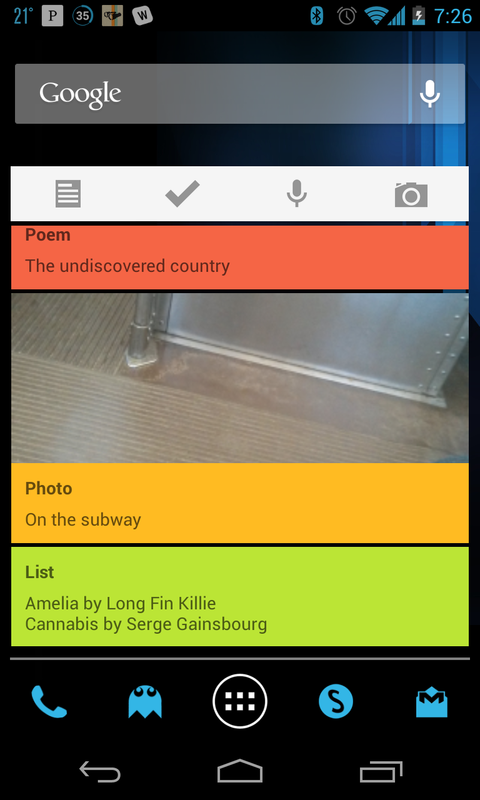 Granted, there are some good RSS clients for Android: Press and Minimal Reader Pro spring to mind. However, neither is great at managing feeds due to their minimalism and current reliance on the soon-to-be-extinct Google Reader. Plus, I’ve yet to find an Android rival for Reeder, which I use on my Mac an which is also available for iOS. The time-shifted nature of RSS also makes it something that I often only get around to once I’m back home, not working, and sitting down, with Reeder in front of me, and so I forego using a mobile client most of the time. This may change if and when RSS undergoes its needed post-Google Reader facelift. The thrill of wide-open desktop browsing doesn’t exist on mobile. Maybe it’s because most mobile sites are bastardizations of their desktop forbearers, or because screen size is a limiting factor. Moreover, most mobile apps are still much better and much faster than their equivalent websites. I haven’t disabled Chrome on my phone, but I seldom use it unless another app directed me there. Instead, I prefer news aggregators like Flipboard and Google Currents, or strong native apps like The Verge, Mokriya Craigslist, and Reddit is Fun Golden Platinum. Of this trio, only Tumblr has a first-rate Android app in terms of aesthetics and friendliness to battery life. It’s easy for me to see why I don’t like using any of them on mobile: they all began as desktop websites, and then had to be downsized into standalone apps. Alongside these aesthetic and functional quibbles with website-to-app transitions, I also consciously limit my Facebook and LinkedIn intake by only checking them on desktop, and in the case of Tumblr, I may create content for it on my phone, but I usually save it to Google Drive (if only to back it up, which I’ll always end up doing one way or another) and then finish formatting and editing it on my desktop before posting it. Twitter is a different story, due to its hyper-concise format. I’ll talk about it in the next entry. Google+ – which is almost completely ignorable as a standlone site on desktop – is also much better on mobile, wherein it performs useful background functions like photo backup. Mobile-first networks like Instagram and Vine are obvious exclusions as well. Spotify is a unique case. 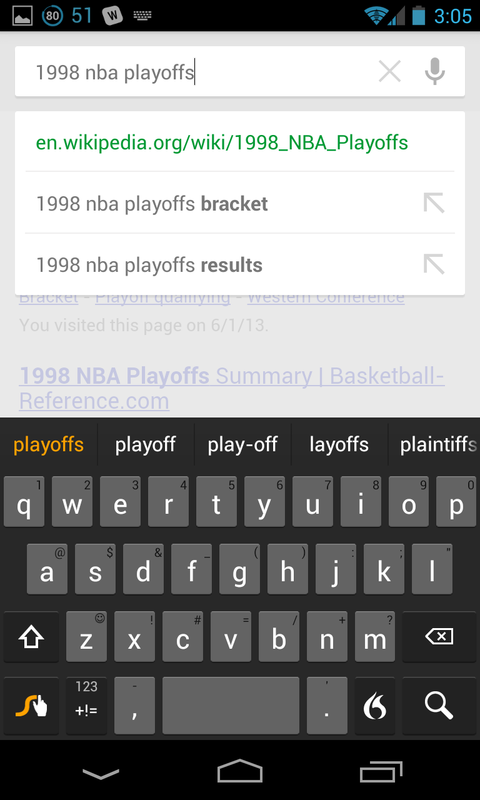 Its Android app is certainly functional, but unstable and not so good with search. It is difficult to get a fully populated list of returned search results, and in many cases you must hit the back button and re-key the search. Its Mac app is much better – the gobs of menus and lengthy lists are right at home on the desktop. For listening to music on my Nexus 4, I use Google Play Music, where I have a large, precisely categorized personal collection accessible via a clean UI, and the terrific holo-styled Pocket Casts, which I use to play weekly trance podcasts from Above & Beyond and Armin Van Buuren, among others. I’m not a huge fan of Netflix on tablets or large-screen phones. I do probably 99% of my Netflix viewing on an HDTV connected to my Wii U, with the remainder done on my Mac. I can see the appeal of viewing Netflix while lying in bed, so I don’t rule out its mobile possibilities altogether. However, most of the video watching I do on mobile is via YouTube, Google Play Movies, or my own movie collection as played by MX Player Pro. Skype is a good desktop messenger and video calling service, but it may as well be DOA on Android, especially stock Android. Google+ Hangouts (the successor to Google Talk) is much simpler, since it requires only a Google+ account and has a dead-simple video calling/messaging interface. Plus, Skype for Android is unfortunately a battery-drainer, in my experience. That said, Skype’s shortcomings on mobile are balanced by its strengths on desktop: its native Mac app is still an appealing alternative to having to open up Google+ in Safari/Chrome. In part two, I shall look at apps or services that I now do exclusively on mobile, as well as the select group of apps and services that I use on both desktop and mobile. If you have a new Android phone or tablet, or even if you have an older Android device that you’re looking to get more out of, then you can upgrade your experience in only a few minutes using a collection of free and paid apps. Fortunately, you won’t have to root your phone or risk damaging its software in anyway along the way. Most of the apps and services described below require at least Android 4.0. Some of them have free versions, but I’ve linked to the paid version when possible, since I want to support these developers and to promote ad-free software. What’s a custom launcher? In plain English, it’s the service that is triggered whenever you hit the home button on your phone or open up your all apps drawer. Facebook Home is the most famous custom launcher for Android, but it isn’t good, because it does the opposite of what a good launcher should do: enhance the value of your entire suite of apps and services. Change how your app icons look: see the entry below on icon packs. Hide icons for unused system apps (without disabling them): you won’t have to skim over “Navigation” or “News and Weather” anymore. Control your home screens with custom gestures: for example, double tap to bring up Nova Settings, pinch-out to show multitasking bar, or pinch-in to see all homescreens, for example. Add unread counts to certain app icons: Android doesn’t support these numbered badges by default. Scroll more quickly thru screens: Nova and other launchers allow for rapid, silky smooth animations and screen transitions. Nova Settings menu, from which you can hide specific apps or customize your gestures, folders, desktop, and dock. The Lustre icon pack for Android, running on Nova Launcher Prime. SMPL Blue icon pack running on Nova Launcher Prime. Note the Snapchat icon the second from left in the dock. Swype + Dragon in action. Android’s keyboard took a quantum leap forward with gesture typing in Jelly Bean, but it’s no match for some of the 3rd-party alternatives available (and said alternatives are essential if you’re running a version of Android that doesn’t support gesture typing out of the box). My favorite is Swype, which is much more accurate, features a good dictation system (called Dragon), lots of custom gestures, and uses an account system to backup your custom dictionaries. It will literally save you minutes each day by cutting down on stupid autocorrect mistakes or miscues from the stock keyboard. SwiftKey is another popular alternative. Also, if you don’t have Google Keyboard, it’s free to download. A sample Dashclock Widget running on Android 4.2.2. 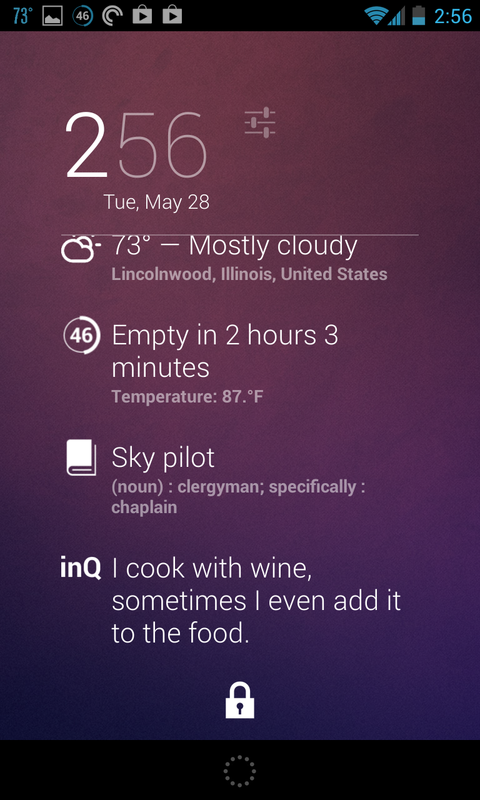 Extensions for Eye in Sky Weather, Battery Widget Reborn, inQuotes, and Logika Word of the Day have been added. 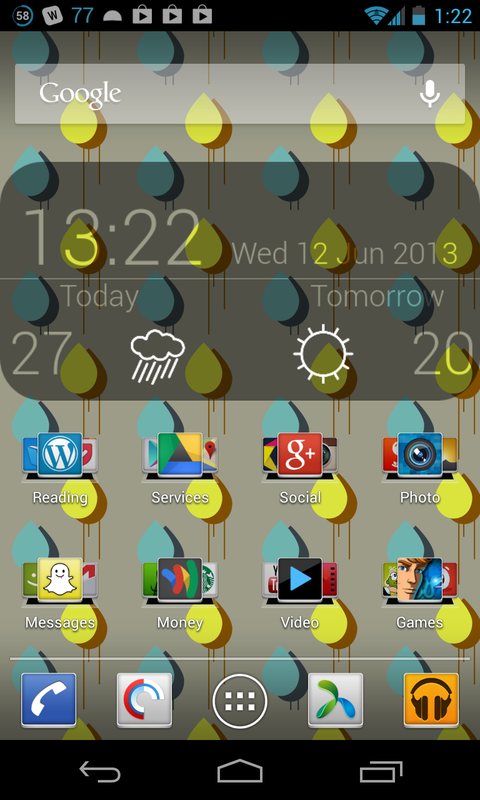 Dashclock Widget is a must-have for Android 4.2+. It gives you a rich set of information (unread Gmail/SMS, missed calls, weather) right on your lockscreen, plus it’s highly customizable via slew of 3rd-party extensions. The DuckDuckGo search bar and story feed. DuckDuckGo is an alternative search engine, but it’s not a second-rate Google clone. 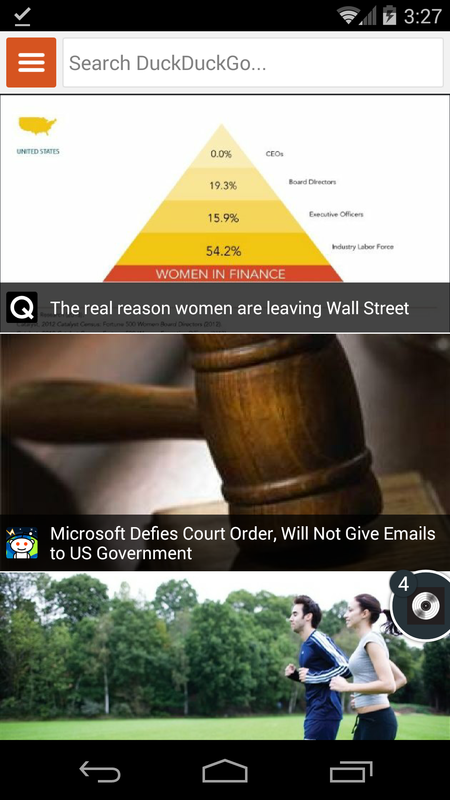 It gives the same results to every person (no filter bubble), plus it’s the best generic news reader I’ve ever used on Android. It draws upon various subreddits and leading publications (NYT, WSJ, Re/code, Vox) to provide a fast, unique overview of the day’s news. Plus, it’s compatible with Orbot for secure prowling via a Tor proxy. Data from Battery Widget Reborn. 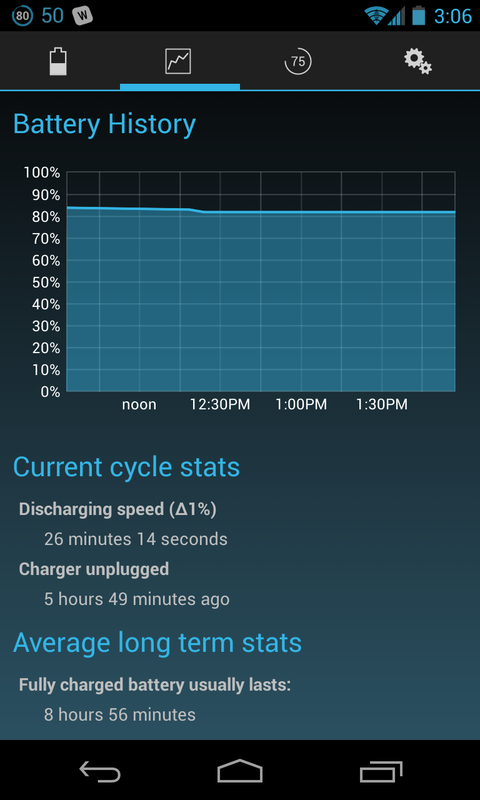 Battery Widget Reborn is an efficient way to keep tabs on your battery level, usage, and history. It has a persistent, expandable notification that can give you estimated battery life remaining (or time until the phone is fully charged) and that can also put the phone into “night mode,” disabling all mobile data, background sync, wifi, and bluetooth for as long as you wish. You can also set up automatic “night mode” periods, such as from 12-8am. Two of the settings (circled) that can disabled for better battery life. You can save a ton of battery life on Android by simply tweaking some settings like haptic feedback, lock/unlock sounds, and 2g/3g network usage. I’ve written a more comprehensive entry about battery life here. MX Player Pro’s default screen. Android isn’t good at video playback. Luckily, MX Player Pro solves that problem by giving you a clean, hardware-accelerated player with lots of simple gestures. Flipster Pro for Facebook showing a sample NewsFeed. 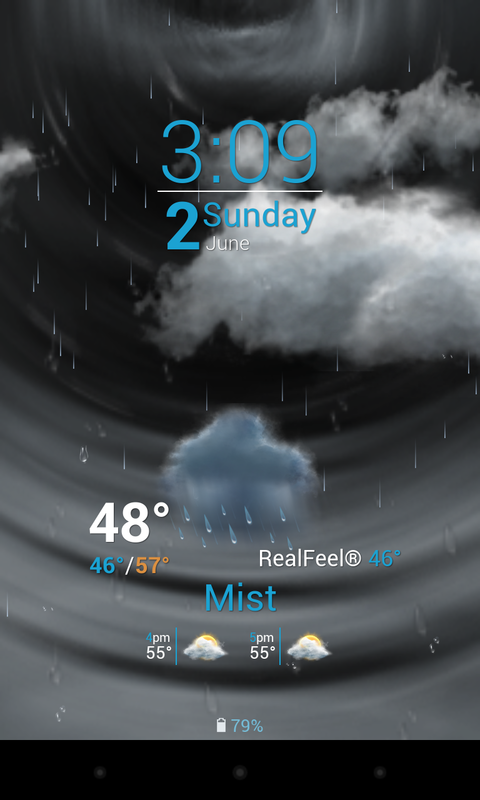 Beautiful Widgets Pro screensaver/Daydream, with windshield wiper animation to indicate rain. Many apps have widgets that can display useful information and act as your launcher icon for that app (so that you don’t have to stick its icon in your dock or on your homescreen. There are a lot of good widgets, as well as some good standalone widgets apps like the peerless Beautiful Widgets Pro, which I used to display the current date and weather. 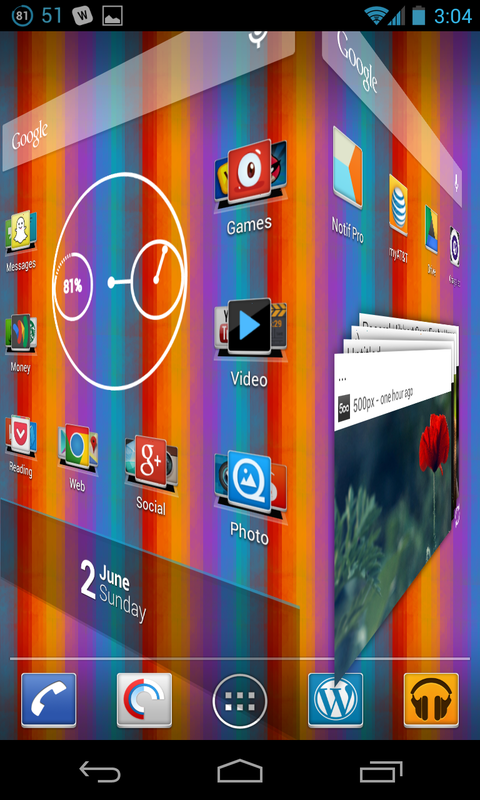 “Stock” Android has become increasingly functional, reliable, and consistent after getting a facelift with 4.0 Ice Cream Sandwich and then 4.1 Jelly Bean. The evolution of its current unified “flat” aesthetic has arisen from Google’s renewed focus on, well, everything, and in its wake it has opened up a gulf between itself and the looser, anything-goes aesthetics of Android 2.3 and earlier. 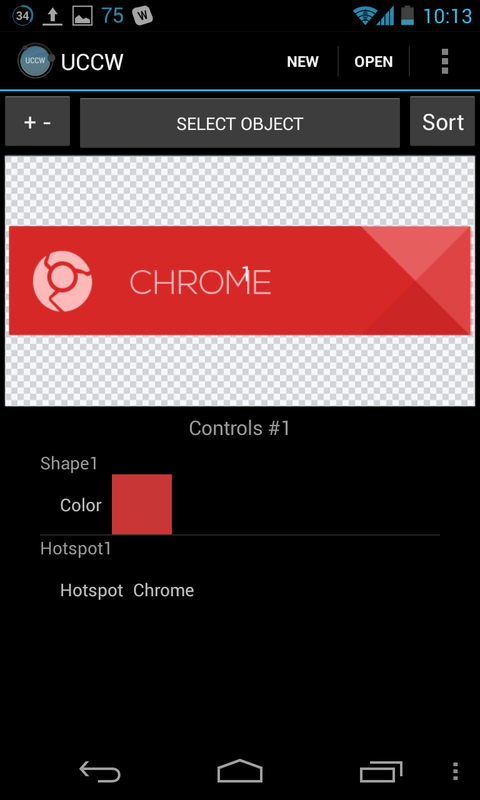 As such, Google’s vision of “stock Android” can often clash with the design of many 3rd-party apps, even as many of them have risen to the challenge and issued their own Holo-designed apps. Commercially, stock Android is a dud: even LG, after the heartening success of the Nexus 4 (which in the Samsung-dominated Android world is victory enough, for now), is no longer going to be bothering with Nexus manufacturing. So what’s the point of Holo and the whole “stock” experience? Well: I think it has its merits, if only because it weeds out crapware and bloat and gives users a quality experience due to its reliance on Google’s mostly great apps and services (even if you don’t use G+, the app itself is still a beautiful thing, for example). But it still has lots of shortcomings, like its blatant disregard for entire categories like podcasting or good video playback, and the increasing sprawl of Google apps and services – now that Google wants to stick its fingers in every pot, how long until the Android install image is itself so large and bloat that it won’t be much of a relief from the overloaded ones that come with the Samsung Galaxy S4 or many other bloatware-stuffed phones? Since it’s unlikely that stock Android will ever be a blockbluster, it’s basically left behind for nitpicking types like me to nit and pick it apart, so with that, let’s look at some of the most important stock Android apps, and the available alternatives. These lists aren’t totally comprehensive, for the sake of conserving space more than anything. I apologize in advance if I’ve left out a key app(s): let me know in comments. Chrome is a capable WebKit-based browser, but so is Dolphin, and thanks to Dolphin’s Jetpack add-on, the latter’s speed can often outstrip even Google’s own browser. But speed isn’t everything. Dolphin’s tab interface is straight out of Android 2.3 and feels like a desktop app that has been scaled-down for mobile. Chrome, by contrast, feels mobile-first and has a nice stacked window interface. It also keeps in sync with Chrome on other devices. Firefox is a good alternative to either of the above. It also keeps in sync with your other instances of Firefox and is decently fast. Firefox also does a better job of respecting privacy, by letting you enable Do Not Track and install ad-blocking add-ons. Opera is now Webkit-based, too, and it features a neat “offroad” mode which lets you get better speeds even on slower connections. The one worthy challenger, however, is Next Browser. Built by the team behind the GO Launcher, Next is a speedy, sleekly designed browser that I now use as my default. QuickPic, however, is, well, quicker. And it weeds out those Web albums by default, making for a simplified photo browsing experience. Email clients are a wasteland on Android. Gmail for Android, with its swipe gestures, quick actions from notifications, and compatibility with Dashclock Widget and Google Now, is so good that it discourages competition. The stock Email client has a similar interface, sans swipe gestures or quick actions, and can be made compatible with Dashclock via the handy Any Dash Pro app. K-9 Mail is my favorite of the non-stock options: it has a ton of functionality and customization built-in, along with a handy Dashclock extension, although its interface is reminiscent of the 2.3 era, with lots of options tucked away in the menu. MailDroid Pro is a completely built-from-scratch client that is either ad-supported or ridiculously expensive (or maybe not, given the difficulty of building good email clients), neither of which make it an easy buy unless you’re looking to experiment. SMS seems to be on the ropes outside of the US, where unlimited text/talk plans are rare. Even in the US, it is under siege from OTT (over the top) services like WhatsApp and Line (see below). All the same, SMS is still important for many users since it sidesteps many of the requirements (like two-way clients) that OTT services have. Sliding Messasing Pro is an immaculate, super customizable SMS client with MMS support and a buttery sliding UI. Highly recommended. Go SMS Pro is packed with features, but is also in-your-face and a little too eager to have access to your phone so that it can begin spamming you with offers to join its own messaging network. Chomp SMS is fine but a little strange: it hasn’t worked out its notifications such that it doesn’t duplicate the stock app’s SMS notifications. Android doesn’t do video playback so well natively: it sends the video to Gallery, doesn’t offer many options, and doesn’t support all formats. MX Player Pro has nice acceleration options, pinch-to-zoom, and support for virtually all video formats. The demise of Google Reader leaves behind a strange RSS landscape on Android. Google Currents is Google’s own alternative: it can integrate RSS feeds, as well as pretty “editions” of many popular websites and blogs. I wrote about it here. However, it’s a bit unstable and gummy at times. You’re likely better off sticking with its editions when possible and limiting its RSS feeds to just a few favorites. Feedly is a popular alternative that updates promptly and has lots of sharing and sorting options. It perhaps isn’t ideal for huge feed collections, which is where rival gReader can excel. While gReader doesn’t have the slick interface of either Currents or Feedly, it is a bit more feature-rich, and one hopes that it’ll keep its word and remain functional past July 1. Press is a minimalistic, subtly designed RSS client with Dashclock Support that also promises to remain operational after July 1. Its my weapon of choice if I use RSS on mobile, which isn’t that often. The stock News and Weather app is pretty bare-bones, but it’s weather and uses common weather data, so you’re not going to find a revelatory alternative. Accordingly, assessing weather apps is more about style and bells/whistles. Eye in Sky has a good widget and lots of customization options for its colors and icons. Beautiful Widgets is true to its name, letting you setup sophisticated widgets on your screens that display date and weather; it also has a neat Daydream/screensaver. And WeatherBug Elite is a more traditional, fewer-frills weather app that receives frequent updates. Like Eye in Sky, it can also pin a temperature read-out to your task bar. 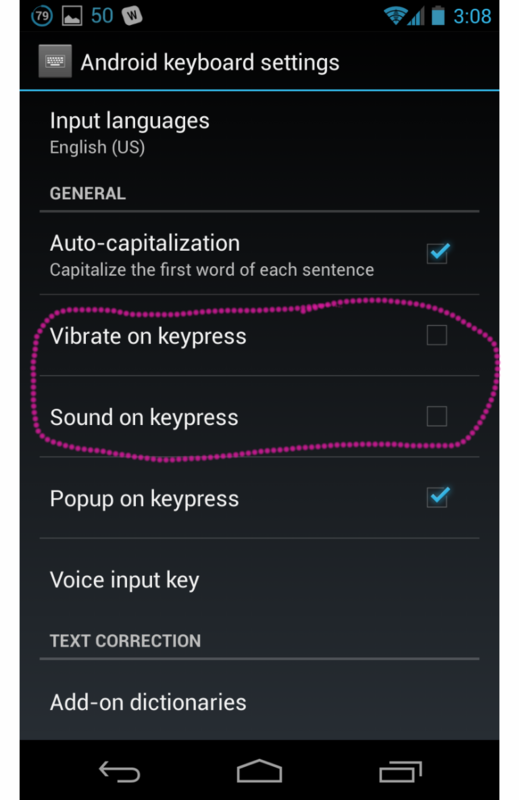 This is one of the easiest ways to upgrade your Android experience (on Android 4.2 and later, anyway). Simply download the free Dashclock Widget, add it to your lockscreen, and remove the default clock widget. You can then begin adding all sorts of custom extensions and data to your lockscreen. Music apps are a dime a dozen, and despite their number I don’t think they vary all that music in their quality. Most of them have licenses for the same catalogues, so differentiation comes down to interface, price, and, probably, whatever service you began using. Google Play Music offers a music store, a locker to which you can upload up to 20,000 songs, and access to album/song streams and custom radio stations. It covers almost every base, and it’s cheap, too (for now – signing up before the end of June can lock you into a lower $7.99 monthly rate). But it doesn’t have a desktop app, works only on Android/Web, and has a relatively minimalist aesthetic (in keeping with stock Android). Spotify works on nearly any platform, but its app design is wonky and often unstable, especially on Android, where sometimes I have to go back and reenter a search query for it to register. Since I’m already entrenched in Spotify, making the switch to near-duplicates like Rdio or Last.fm is pretty much out of the question, but the prospect of integrating a streaming collection with my 8k song library in my Google Play Music library is also enticing (Google Play Music displays both locker-stored albums, store purchases, and streaming albums/songs in the same location, unlike Spotify, which separates them). The default PDF viewer is stock Android is ungainly, with all of its option tucked away into the overflow button on 4.0+. You can load your PDFs into Google Play Books, but you’ll have to go to the Play site on your Mac/PC first. Adobe Reader and iAnnotate PDF are both free and feature annotation tools, with iAnnotate having a slightly larger variety. But ezPDF Reader Pro is worth the price tag, since it has high-level features like PDF reflow, integration with cloud services, and a bookshelf UI.